The NFL concussion lawsuits continue to push all kinds of technology, education and marketing efforts toward brains, concussions and sports. FINDING ADEQUATE REWARD IN LIFE: THE BRAIN, a medical seminar organized by Internist Eric Braverman, MD and offered as CME credits by the University of Florida will take place in New York City on March 21, 2014. 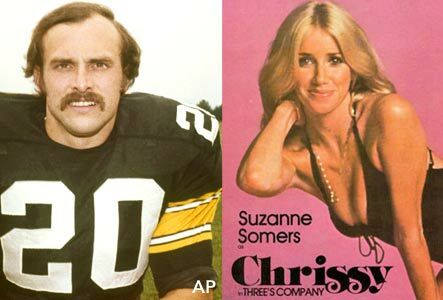 The line-up of speakers includes UPMC neurologist and NFL Mild Traumatic Brain Injury Committee member Dr. Joseph Maroon, Pittsburgh Steeler great Rocky Bleier, and television star Suzanne Somers. Dr. Braverman’s organization, PATH Medical Specialists focuses on the brain’s relationship to human aging and illness and like Dr. Maroon is an advocate of the benefits of nutrition and supplements on the repair of brain tissue. resort, we guide the patient toward a healthier future. The luncheon, seminar and awards dinner will also feature New York Governor David A. Paterson, Nora D. Volkow, MD, Paul Greengard, PhD, Mark S. Gold, MD, Kenneth Blum, PhD and the music of Grammy Award Winning Violinist Miri Ben-Ari.